Steve Miller began his musical career in the early sixties, gigging with numerous blues and R'n'B outfits. By the end of the decade, he had become an in-demand session player, guesting on albums by the likes of Alexis Korner, John Dummer, Daddy Longlegs and Free. Meanwhile, in 1966 Miller formed his own group, Delivery, in which he played keyboards and sang. Eventually, Delivery became the backing group of singer Carol Grimes, and recorded their sole album, Fools Meeting (1970) in that setting. In 1971, Delivery broke up, but carried on for a few months as DC & The MBs (short for Dyble-Coxhill and the Miller brothers), with ex-Fairport Convention singer Judy Dyble. Steve Miller was then asked to join Caravan, after the recent departure of their keyboardist David Sinclair. As it turned out, Miller's style being more piano and jazz-orientated didn't quite fit with Caravan's music, but the line-up survived enough to record the album Waterloo Lily, which featured two of Miller's own compositions. 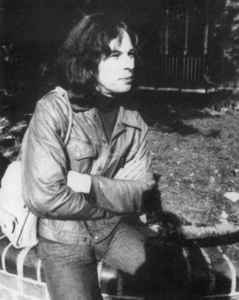 Miller left Caravan in July 1972, and with Richard Sinclair, Phil Miller, Pip Pyle and Lol Coxhill, they reformed Delivery. This incarnation played just one gig in August, at a festival at the Tower of London. Eventually, part of this line-up evolved to Hatfield And The North, without Steve Miller and Lol Coxhill who concentrated on their duo work, which resulted in two albums. In early 1973, Delivery existed briefly again with the return of previous members Roy Babbington and Laurie Allan, but this was ended when Babbington left to join Soft Machine. Steve Miller's musical activities subsequently became infrequent, and by the late seventies he was reported to be mainly working as a carpenter. He contributed a solo piano improvisation to the legendary Miniatures (1980) album compiled by Morgan Fisher. He had a duo with Mark Hewins and a Trio which released a double album in 1986. More recently (1996-97), there were trio gigs by the Miller brothers and Mark Hewins. In the Spring of 1998, it was announced that Steve Miller was ill with cancer, and a benefit gig was arranged on June 28th at London's Vortex Jazz Bar. This featured reformations of both Delivery and Miller's jazz quartet, and improvisations with Elton Dean and Mark Hewins. On December 9th, 1998, Steve Miller died. His brother Phil dedicated his next album, Out Of The Blue, to Steve's memory, and in 2003 released two albums by him on his own Crescent Discs label.